LOGAN — “Wouldn’t it be funny if that were true?” is a line used multiple times in this play filled with lies and ways to cover up lies that result in frustrations and strains in relationships. It may frustrate, or penetrate the soul. Either way, this play is one worth watching. 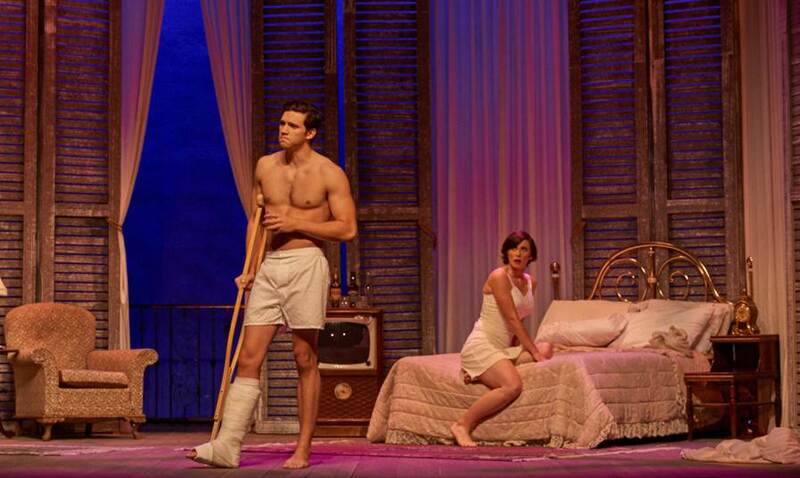 The Caine Lyric Theatre is the perfect setting for this American classic, Tennessee Williams’s “Cat on a Hot Tin Roof.” The props and scenery on stage are very elaborate, but it is made possible because the whole play takes place in one room, Brick and Maggies’ bedroom. Nothing had to be moved around to create the next scene. Characters just came in and out, and everything happened in that one exhausted room. Lighting was also used to imitate the light of evening to the dark of night, to a dark, naturally lit room after the lights are turned off. The lighting really did a lot for this play and created the perfect ambiance. Even the colors of the lights lent to the mood of each individual scene. The Pulitzer Prize-winning play has touches of adultery, alcoholism, suicide, homosexuality, and very strong language, but they’re not so extreme that anyone would walk out of the play because of them. The issue of homosexuality is only touched on twice in two separate acts, but it’s very perceptible. It talks about Brick’s relationship with his high school friend Skipper, and how it was not a “normal” relationship, and Brick would get very defensive. It’s really left up to the audience to decide what his sexual identity is. “Why can’t exceptional friendship, real, real, deep, deep friendship between two men be respected as something clean and decent without being thought of as. . . fairies,” Brick asks. Mendacity is a word that was used over and over again. Mendacity means deceit, falsehood, and fabrication, lying. This resounding theme of the play is not short of that definition. The whole play revolves around the lies that are told to keep up a socially acceptable appearance. They’ve all gotten to the point where no one believes anyone anymore. The play showcases the effect lying can have in the long run. It eats away at a person inside, until they say things and do things they otherwise wouldn’t. They lie to try and make things better, but really it just makes them more miserable. There is one scene in the play where Big Daddy is made privy to a huge lie and he proclaims that the “Odor of mendacity in this room,” was too much. 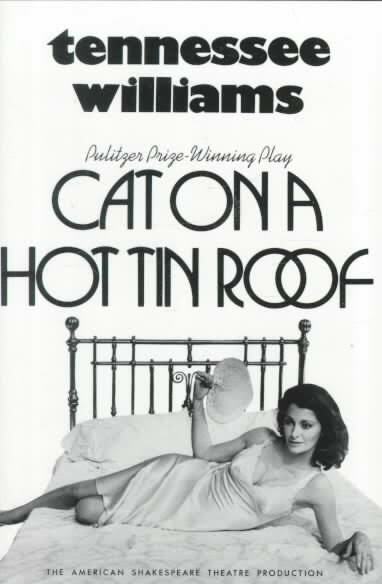 The characters refer to the cat on a hot tin roof as an uncomfortable place to be. However, even though it is uncomfortable and heart wrenching, that is where they choose to stay. They are choosing to remain miserable. Maggie is consumed with envy, Brick is a drunk looking for peace in his cup, Big Daddy is mean and disheartened, and Gooper doesn’t feel loved by his father so is in an awkward, hard position. There is a lack of love and compassion between the characters in this play. It’s apparent there may be some love underneath all the brooding and anger, but it’s only seen in short spurts. There are many hurtful things said in this play due to lashing out at the ones they love. Big Daddy lashes out at Big Momma, and Brick at Maggie, and Brick at Big Daddy. It is very emotionally charged, and raised voices ring throughout the show. It was kind of a hard play to watch because there was so much shouting and they were always fuming with malice. There’s a lot of anger in this play and the women do their best to keep up a good appearance, but the men get fed up with it and say the most hurtful things to them. This play was not edited or changed at all for the audience. The cast followed Tennessee Williams script entirely and did not alter it or change it at all. It is almost 100 percent identical to Tennessee Williams version. It is very true to life because everyone’s had a moment where they think they are covering up a lie efficiently until something slips. And then on the flipside, coming into something maybe they shouldn’t have. This play teaches that life is about mistakes and how we deal with them. Max Falls, who plays Brick, says he doesn’t believe there is an unimportant scene in anything that Tennessee Williams writes. Every detail works together and everything is important to the big picture.